Horray! 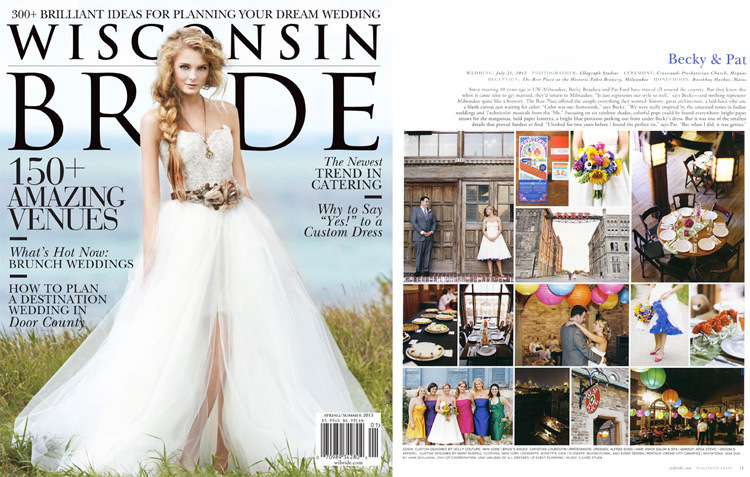 Becky and Pat's Milwaukee destination wedding is featured in the 2013 Spring/Summer issue of Wisconsin Bride Magazine. This is the first time Ellagraph Studios has being published in the magazine, so we are very grateful and excited! See my original post from their wedding here.